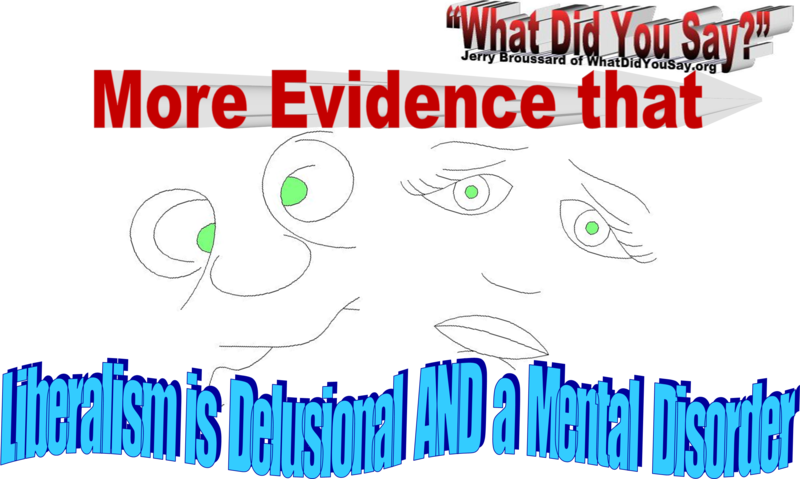 Taxes | What Did You Say? New York City has long been viewed by many as a dumpster fire of fiscal irresponsibility with ridiculously high taxes and insanely excessive spending, and under the past few years of leadership by the socialist, er, Democratic Mayor Bill de Blasio, the situation has only gotten worse. Recent reports citing economic experts have warned that the famed city could soon face the financial disaster of bankruptcy for the first time in more than 40 years, but it doesn’t appear that the city is doing much of anything to address that dire consequence, and instead is arguably making things even worse. The New York Post reported last week that as businesses and residents flee the high taxes imposed on them by the city and state, resulting in entirely predictable tax revenue shortfalls, public spending has actually been increased instead of reduced as well, creating a sort of fiscal death spiral that could ruin the city. “New York is already in a difficult financial spot, but it would be in an impossible situation if we had any kind of setback,” he added. Such setbacks would include a financial recession, which could prove fiscally devastating, or even just a continuation of the exodus of taxpayers while spending continues to increase. Indeed, Mayor de Blasio recently announced an additional $3 billion in new spending on top of a budget that already included $89.2 billion in spending. Meanwhile, the mayor only found “savings” of about $750 million in his proposed budget for 2020 — obviously not enough to save the city in a disaster — and the state’s Democratic Gov. Andrew Cuomo cut roughly $600 million in city-related spending from his proposed state budget for the coming year. The Post noted that the city’s spending has increased by 32 percent since de Blasio assumed office, about three times the rate of inflation, and has hired some additional 33,000 public sector workers who are paid with city funds and are granted long-term pensions and other city-funded benefits. “In that case, the city would get temporary protection from its creditors, but it would be very difficult for the city to take on new debt,” he added. City pensions, along with other long-term liabilities like bonded debt and other post-employment benefits for public workers, are estimated at more than a quarter trillion dollars, according to a 2018 report from the city’s Citizen’s Budget Commission, which placed the total liabilities held by New York City at roughly $257.3 billion for that year. That is nearly $5 billion more than the 2017 total of $252.5 billion, and works out to an astonishing liability per New York City household of $82,577. The budget commission also noted that the city’s pension fund is only about 76 percent funded. All of that news comes as residents are increasingly leaving the excessively taxed city and state for low-tax states like Florida and Texas, an exodus that has been partially blamed for the state’s announced $2.3 billion budget deficit caused by a shortfall in expected tax revenues, according to Fox News. All the while, Cuomo is blaming the problem on the Trump administration and Republicans for the tax cut bill Trump signed in 2017, which reduced the amount of state and local taxes residents could deduct from their federal taxes and left some residents and businesses with a higher tax bill. In response to the incredible shortfall, the state has decided not to reduce spending or do anything responsible like that, but to instead levy aggressive audits on the businesses and individuals leaving the state to try and soak them with a tax bill one last time for whatever they may be worth. Unfortunately for New York, that aggressive effort will likely only encourage more top-earners and wealthy individuals to get out while they still can, and considering the fact that the top 1 percent in the state account for roughly half of all tax revenues, that could actually serve to hasten the potential financial disaster facing the city and state. New York City, and the state as well, were already fiscal dumpster fires. But the financially irresponsible actions of their progressive leadership have only served to throw gasoline on the blaze, and the growing monetary inferno of high taxes, high spending and unfunded liabilities in the face of reduced tax revenues now threatens to engulf the city in bankruptcy. 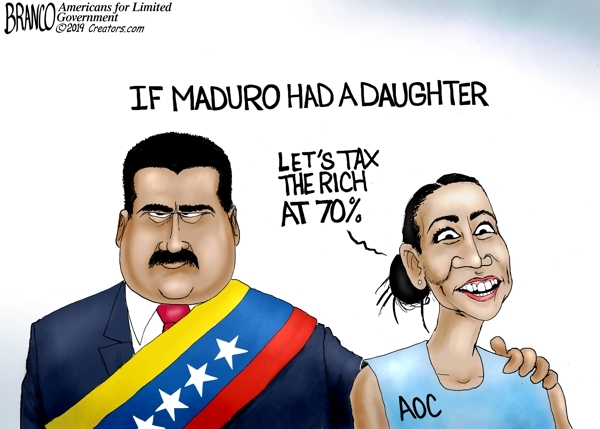 Alexandria Ocasio-Cortez Has a lot of ideas that Dictator Maduro of Venezuela could endorse. it’s almost like they’re related. If Maduro Had a daughter. 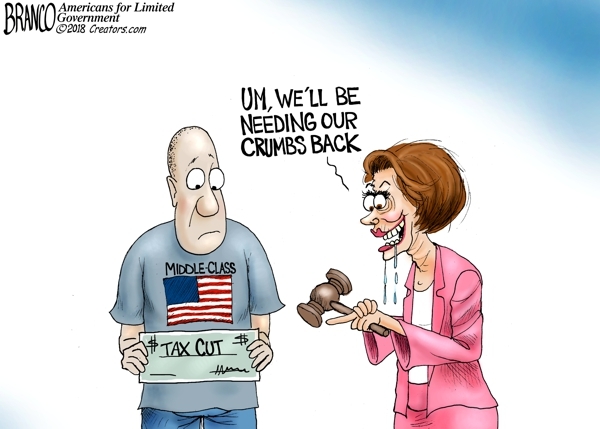 Nancy Pelosi may be back holding the gavel with a vengeance wanting her crumbs back from the taxpayers. Democratic socialism, a sort of mythical utopian form of government halfway between a capitalist democratic society and a socialistic communist one, is all the rage on the left these days following the surprising primary victory of Alexandria Ocasio-Cortez in New York’s 14th Congressional District. 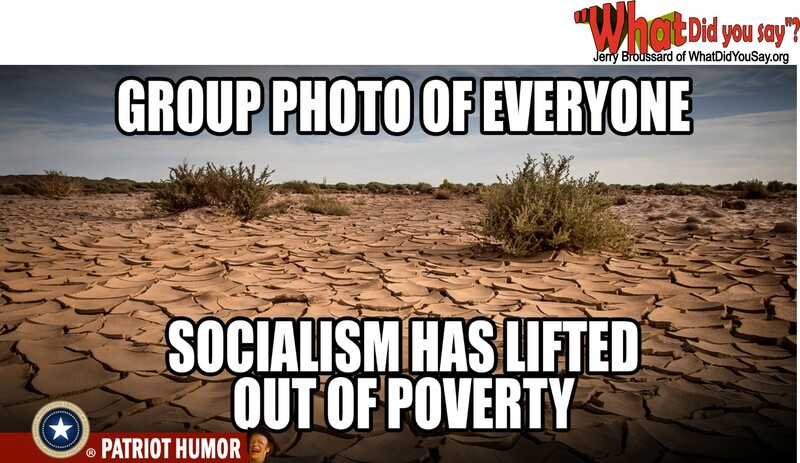 Ocasio-Cortez makes no secret of her passion for a more socialist society in America, one where every individual’s basic needs are provided by the government. And that passion is apparently shared by a growing number of American citizens, as was recently revealed by Campus Reform. Campus Reform’s media director Cabot Phillips took to the streets of Ocasio-Cortez’s district and asked random people about the potential congresswoman and her desire for the government to provide things like “free health care,” “free college tuition,” “a minimum living wage” and “housing as a human right,” none of which should be denied to anybody in her view. Another woman said some of the “free things” should be paid for with taxes and the rest picked up by government, apparently not making the connection that government is funded entirely by taxes on people like her. “I don’t know where the money would come from, but they can figure it out,” said one man with a laugh. Many of the people pointed to “other countries” that have implemented socialist ideas and appeared to be doing well, but were more or less rendered speechless when Phillips asked if they thought Venezuela’s utter failure of a socialist government was one such example. Phillips noted that even though the responses he received were “laughable” to hear, the rise of a favorable view of socialism among millennials was “not a joking matter” as the consistent failure of socialism was a rather serious issue that young people don’t seem to understand. “It seems like all these students don’t have a grip on history… They’re not being taught history and economics courses … so many students — it’s hard to blame them — they don’t have a context of history, they don’t know that socialism has failed every time its been implemented,” Phillips said. “I think a lot of this also stems from how we have demonized success in America,” he continued. “Many people are taught that if you are wealthy, you only got that way because you stole it from someone less fortunate or less privileged. “And I think after eight years of class warfare under President Obama, young people are now coming of age thinking ‘If someone else is rich it must be because they did something wrong,’and so instead of teaching people to emulate success, we’ve taught them now to try and drag successful people down, and that’s the wrong way of doing things,” Phillips added. Sadly, Phillips is absolutely correct in that our nation’s liberal education system hasn’t taught the latest generations about the complete failures and abject horrors of true socialism. That’s why so many folks today seem absolutely clueless about the utter impossibility of a government providing “free” everything while remaining a prosperous nation where citizens enjoy liberty and freedom. It’s why there are so many Democrats. More American voters want the Republican party to remain in charge of the economy and tax policy, according to an NBC News/WSJ poll released Monday evening. The two media outlets found that 35 percent of Americans believe the Republican Party is better suited to handle the economy, compared with 28 percent who think Democrats have the better economic policies. Roughly four months ago, Democrats had the upper hand. Thirty-five percent of American voters thought Democrats were the better choice in December — the same month Republicans passed the 2017 tax reform bill. The party now holds a slim 2 percent advantage over Democrats on the question of who has the better tax policy. Democrats had a 4 percentage point advantage in December. Recent findings from government oversight officials work to back up Americans’ growing federal deficit concerns. The non-partisan Congressional Budget Office expects the Republican tax reform bill and 2018 congressional budget agreement will grow the economy over the coming years, but also add nearly $2 trillion to federal deficit over the next decade. The CBO released analysis earlier in April detailing how the federal budget deficit will be $804 billion in 2018 and exceed $1 trillion in 2020. Publicly held U.S. debt will total $28.671 trillion by the end of 2028, amounting to over 96 percent of U.S. gross domestic product that year. While the deficit remains a concern, the tax bill has shown and is expected to show some other net-benefits for the American people. Hundreds of corporations and small businesses announced bonuses and wage increases following the bill’s signing last December, although many have decried the moves as simply a public relations stunt. Americans filed their first tax returns under the new Republican tax plan Tuesday, a first litmus test for voters and politicians as to how effective the tax cuts will end up being. Tax cuts are also expected to bring nearly $2 trillion in capital held overseas back to the United States, according to a United Nations Conference on Trade and Developments report. 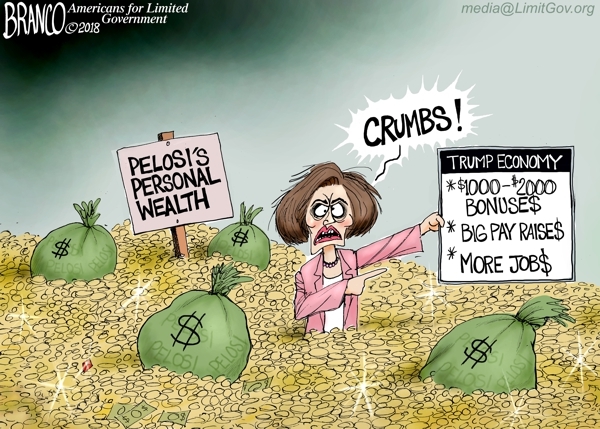 Multi-millionaire Pelosi thinks a $1000 to $2000 bonuses are crumbs but working families may feel different. Arizona’s largest utility company is seeking permission to cut rates to its more than one million customers as a result of the Republican tax reform bill passed last month. The public corporation joined one of New England largest providers — serving liberal Sen. Elizabeth Warren’s Massachusetts — in announcing it will do the same. The news came as Walmart became another of a plethora of companies that will pay $1,000 bonuses and other benefits to its employees due to the windfall it will reap as a result of the corporate tax rate being lowered from 35 percent to 21 percent. The Associated Press reported Tuesday that Arizona Power Service is seeking permission from regulators to cut bills by $119 million a year, effective on Feb. 1. Residential customers will see their monthly decrease by an average of $4.68 per month. APS said more cuts could follow once the tax bill’s effects become more clear, according to the AP. Meanwhile, the Massachusetts-based utility Eversource, which serves over 3 million customers, announced earlier this month it wants to lower its rates as well. Eversource seeks to reduce its rates by $35.4 million in eastern Massachusetts and lower its recently approved increase for the western part of the state from $24.8 million to $16.5 million. The Bay State’s Democrat Attorney General Maura Healey is calling on all utilities serving Massachusetts residents to do the same. On Wednesday, Fox News host Bret Baier questioned Warren, an outspoken critic of the GOP tax plan and President Donald Trump, about the decision by Eversource to lower its rates. “Good for them. I’m delighted to hear that,” she replied, but added that she would move to change the new tax law if Democrats take back Congress in November. “I want those breaks to go to hardworking families, not to a bunch of rich folks,” she added. At his first Cabinet meeting of 2018 on Wednesday, Trump touted the benefits Americans at all income levels are already experiencing as a result of the tax law, including some that were unforeseen. He also pointed out the plan specifically targets working Americans by nearly doubling the standard deduction, making the first $12,000 earned income tax-free for individuals, and the first $24,000 for married couples. Additionally, the law doubles the child income tax credit from $1,000 to $2,000. On Thursday, Trump tweeted out the announcement by Walmart, the nation’s largest private employer, that it was raising its U.S. minimum wage to $11 per hour and issuing a bonus of up to $1,000 to employees as a result of the lower corporate tax rates. The corporation also plans to expand maternity and parental leave benefits.